For their implementation of the Leader in Me program, Teravista Elementary earned the coveted Lighthouse School designation from the Franklin Covey Institute. Teravista is the first school in the Austin area and only the seventh in Texas to reach this Lighthouse School status. The Leader in Me program is based on the book by Stephen Covey, “The Seven Habits of Highly Effective People,” and adapted in order to transform the school into a place that fosters leadership development. Teravista students and staff learn leadership skills through universal principles, how to identify and take action toward goals and to work with others to attain those goals. Students also learn the art of shaking hands, engaging adults in appropriate conversation and speaking in public. 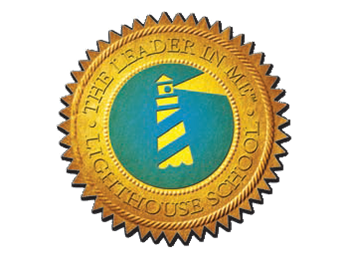 The designation as a Lighthouse School indicates a campus is serving as a model for leadership development and implementation of the Leader in Me. After three years, Teravista went through a formal Lighthouse review by the Franklin Covey Institute. In February, Teravista held its annual Leadership Day in which students practiced using leadership skills as they interacted with adult leaders in the community. Elected officials, business leaders, parents, district personnel and educators from around central Texas were among the guests. Blackland Prairie and Caraway elementary schools began the process this year to become Leader in Me campuses.